Moist, soft, seasonal. 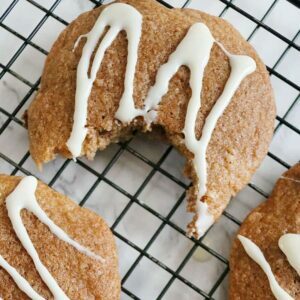 These amazing applesauce cookies are a true fall specialty! Add dry ingredients and continue mixing until combined. Stir in applesauce. Scoop onto sheet pan, bake 8-10 minutes or until golden brown and set up. Cookies spread slightly, leave ample room between each scoop.